The compound of the White Tower is located in the center of ancient Ramla and dates from the time when the town prospered. The area contains four historic sites. The White Mosque was first built in the 8th century A.D. The remnants we see today date from the end of the 12th century A.D., when the building was renovated upon orders by Sultan Saladin, and also from the time of Mamluk rule in the 13th and 14th centuries. The White Tower rises to a height of 30 meters. Its erection was ordered by the Mamluk sultan Muhammad Ibn Khalhoun, to be completed in 1318. 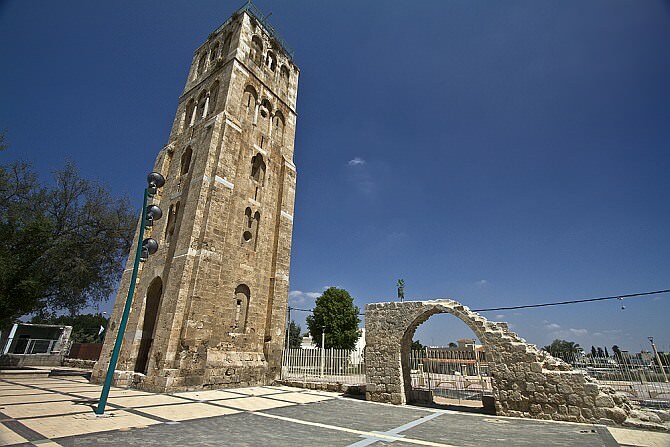 Apparently, it served as a watch tower, since even today, its top offers a panoramic view of the entire area, from the Mediterranean coast in the west (including Tel Aviv) to the foot of the Judean Mountains and Samaria in the east. There are researchers who claim that the tower was possibly built as a minaret, an architectural structure serving the muezzin when he calls the Moslem faithful to prayer five times a day. 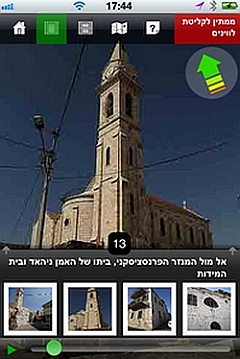 “The tower of Ramla is coming closer”. The people of Lod heard this and came out happily to welcome the tower, but to their great surprise, the tower had stayed in its place in Ramla. 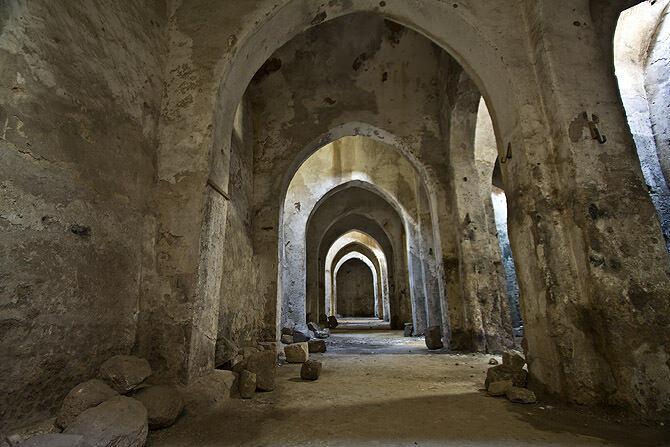 In the ground between the square tower and the remnants of the White Mosque, there are three subterranean water reservoirs (dry), whose total capacity is about 6.400 cubic meters of water. Apparently, at least two of them were built in the 8th century A.D. and were fed by aqueduct carrying water from the Tel Gezer area. 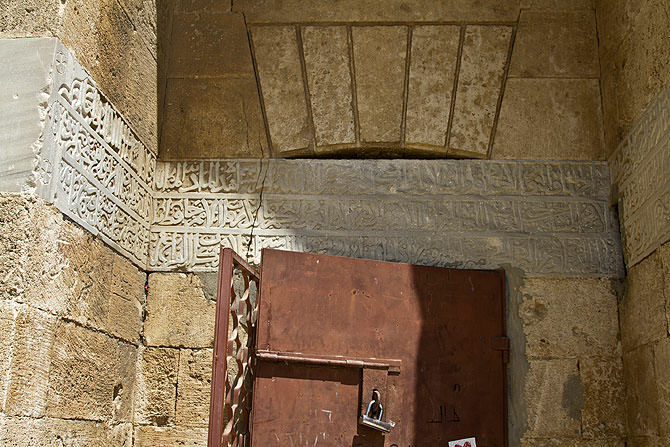 According to Moslem legend, on the western side of the tower, there is the tomb of Nebi Salah, an ancient prophet mentioned in the Koran seven times. 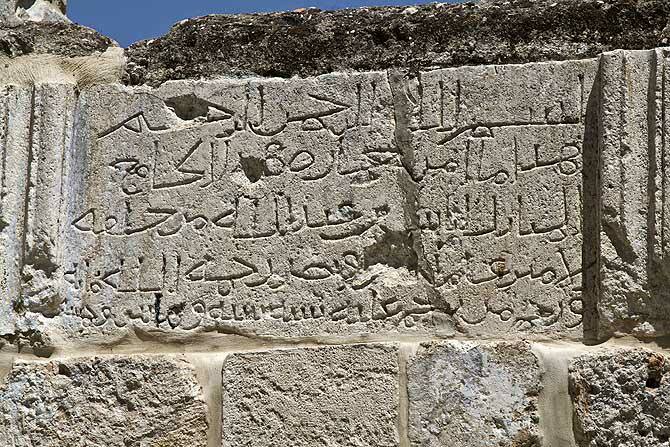 The wall of the building’s balcony features an inscription telling about the White Mosque’s renovation in 1190 A.D.
Moslem tradition reports that the prophet Salah preached to the pagans, urging them to leave their idols and worship Allah instead. The idolators put him to the test and told him, “If you turn the rock before us into a female camel, we will believe in Allah and follow you.” And indeed, as it is told, he fulfilled the task and since then, the legendary prophet has many followers.